Do you dread the three o’clock lull? That time between lunch and dinner when your energy level takes a serious dive towards the South Pole. Your eyelids get heavy. Your head starts to droop. If only you could shut your eyes for a few minutes...but alas, there’s still a mountain of work to conquer. Sigh. If you’re feeling like you need a little boost, give this recipe for Mocha Latte Cupcakes a try. These rich and moist little cakes are infused with real espresso. 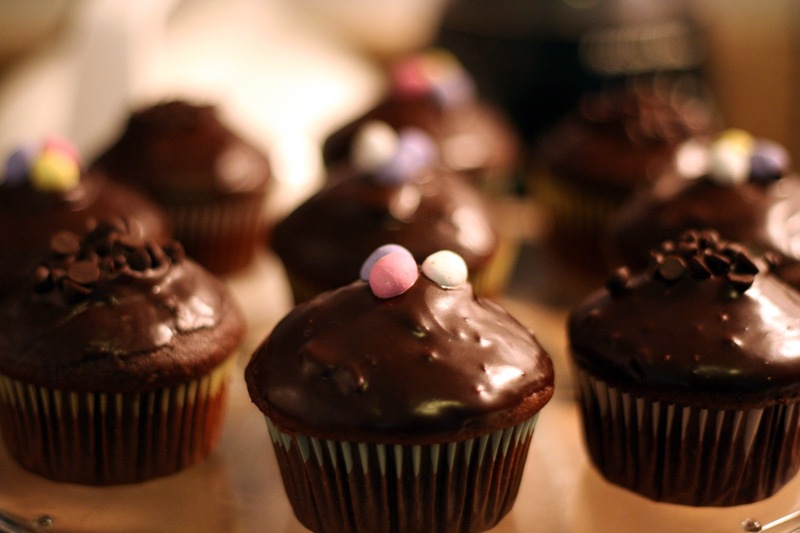 I’ve topped them with silky, smooth Chocolate Espresso Ganache to enhance the java flavour of the cupcakes. They’re the perfect afternoon pick-me-up. Extra tidbits: Leave one or two cupcakes sans ganache. I know it sounds crazy—but stay with me! Bathe the cupcakes in any leftover cream. Ideal for those ‘hold the icing’ days. And it’s a handy way to get through a carton of cream. Also, any leftover ganache can be used as the perfect topping to drizzle over ice cream or frozen yogurt. 1. Preheat oven at 350 degrees. Line cupcake tin. Set aside. 2. In a medium bowl, sift together flour, cocoa, baking powder, baking soda, salt and cinnamon. 3. In large bowl, combine oil and sugar. Mix until incorporated. Beat in one egg at a time. Add vanilla. Add milk and espresso. 4. Fold dry ingredients into wet ingredients, careful not to over mix. 5. Divide batter into cupcake tin, filling each about ¾ of the way. Bake for 20-22 minutes. Let cool completely before decorating. 2. Place large glass bowl on top. Make sure that the bottom of the bowl does not touch the boiling water. 3. Add chocolate chips to the glass bowl. Next, add the heavy cream. Using a spatula, stir until the chocolate chips melt completely and the cream is incorporated. This may take a few minutes. 4. Once the ganache is smooth and glossy, remove from heat. 5. The dip and twist method works best here. Dip cupcake tops into the ganache. Twist to prevent any drips. Enjoy as is, or top with your favorite decorations. Anita was born on Spring Equinox, on the cusp of Aries and Pisces. According to the Chinese Zodiac she’s also a monkey. She loves the creative process in its various manifestations and enjoys spending time writing and teaching yoga.. Baking gets her out of my head, a remedy for writer’s block. Anita is also a loving wife, devoted auntie and proud cat mom. Her cat’s name is Noodles. He looks a bit like Garfield. 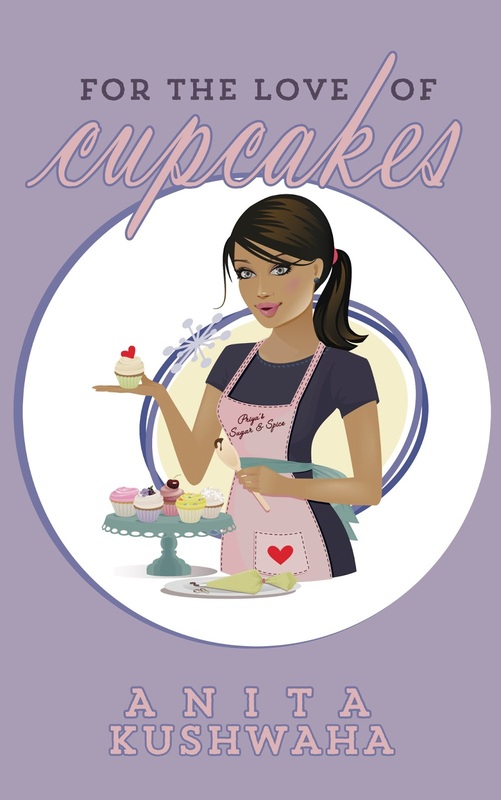 For the Love of Cupcakes will leave your mouth watering for cupcakes and your cheeks sore from smiling. Love anything mocha! These look delish! A great article. I can't wait to try the recipe!